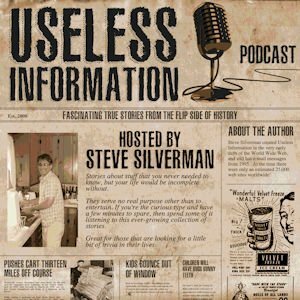 For today’s podcast, I thought I would introduce the story with a short interview that I did the other day with my brother, Gary Silverman. Just coincidentally, I recorded this on the 119th anniversary of today’s story. Steve Silverman: So why don’t you tell us about the call that our grandfather made to you about thirty-five years ago. Gary Silverman: Well, I was actually a freshman in college and he called me up and I was very excited because he told me that he had bought me some real estate. 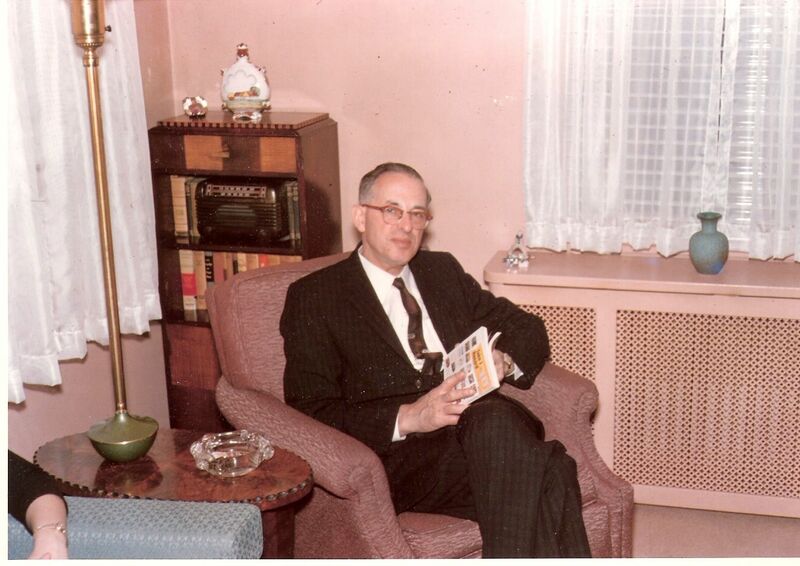 My grandfather on my mother's side, Morton Washington Seligman (1901-1999) in the early 1960's. He purchased small parcels of land for his children, their spouses, and his grandchildren. Steve Silverman: And what can you tell us about this property? Was it a large parcel or a small parcel? Gary Silverman: Well, on the grand scale I have to say it was extremely small, actually. Steve Silverman: And what did it overlook? Was it a river, a beautiful piece of land? What did it overlook? Gary Silverman: Specifically, it overlooked the Southern State Parkway, I believe. Steve Silverman: Okay, so why don’t you tell everybody what he really gave you? Gary Silverman: What he actually gave me was a burial plot. So I was seventeen years old and he decided that I should have my very own burial plot. Steve Silverman: And, of course, I have one also. And he bought one for all his children: for his children and their spouses and, of course, his grandchildren. Steve Silverman: Yeah. It’s not one that I’m looking forward to actually using. So, as I remember it, basically he was a member of a lodge and they had purchased a lot of these plots out in cemeteries on Long Island and then the next generation didn’t join the lodges, so they were left with all these plots, so they were selling them at a song. I guess he decided since they’re so cheap to buy them for all his family members. Is that kind of how you remember it? Gary Silverman: That’s exactly how I remember it. He basically took advantage of the deep discount rates on burial plots. Steve Silverman: Okay. So we’re all set in when it comes to that, although I have to say that my wife is not too happy that we’re not going to be buried next to each other, so we may have to deal with that at some point. Hopefully, that’s a few years off though. 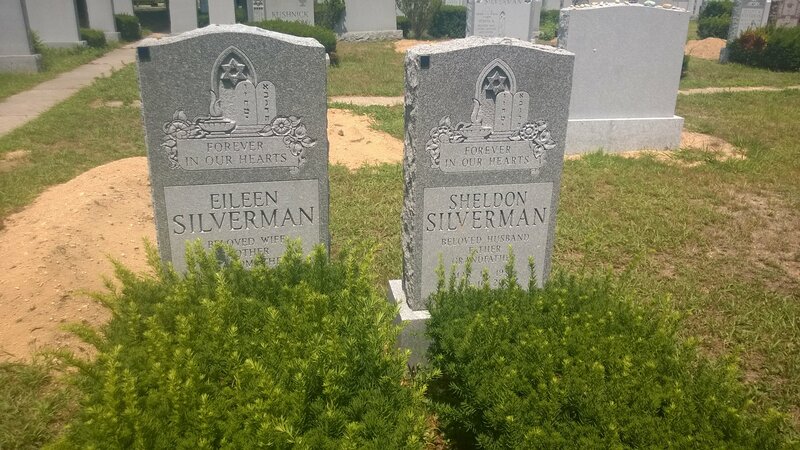 Steve Silverman: So both our parents are buried there. Of course our grandfather purchased the plot, right? Steve Silverman: And I thought I would tell the story of mom, because mom passed away first, and this is actually pretty funny story. You know, in the Jewish religion they do an unveiling, which is, what, about a year after the after the person is buried. Is that correct? Steve Silverman: So, us not being very religious we weren’t there at the year point to what see this, so my father just started bugging us that we needed to go down to Long Island to see mom’s grave. Do you have to remember this, what happened? Steve Silverman: Well, you’re actually skipping over a couple of parts because I left here at like four in the morning because I live up in Albany. Steve Silverman: I drove two hours to dad’s house. You were already in the car. I didn’t even go into the house. I just jumped into dad’s car and we drove in three hours to Long Island. So, I was on the road for five hours straight. And what happened when we got there? Gary Silverman: Well, we got to the gates of the cemetery and they were locked and there was no sign of any living human beings, so we basically turned around and went back from where we came. Steve Silverman: Yeah, we just made a U-turn. He said he said, “Okay, we tried” and we just drove away. And did he ever go again? Gary Silverman: No, I can honestly say we never went again. Steve Silverman: Yeah. In fact we didn’t see mom’s grave until dad passed away, which was a few years later. This is a very funny story and very typical of our family, I think. Gary Silverman: Yeah. When it comes to funerals I think that we take a very minimalist approach. My parents are buried in the New Montefiore Cemetery facing the Southern State Parkway. Steve Silverman: So, today’s story actually occurs right down the road from the cemetery and that’s why I used it as a lead in. So, I want to thank you for being on the podcast and adding a little humor to it. Steve Silverman: And I’ll let you go and I’m gonna continue with the story. Gary Silverman: Alrighty. Thank you very much. Talk to you soon. I should mention that these wonderful parcels of land that my grandfather purchased for us are located in the New Montefiore Cemetery in West Babylon, NY. Now, if you head just one exit east on the Southern State Parkway, which is a fairly short distance, you will pass under a set of railroad tracks. 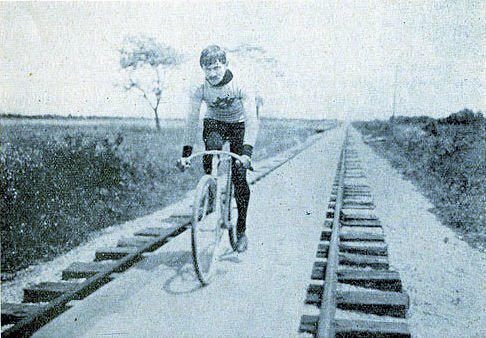 It was on these tracks on June 30, 1899 that a historic bicycle ride took place. As I tell this story, keep in mind that this all takes place during the early days of what we consider to be modern biking. To put this in perspective, the chain-driven, rear wheel drive bike that we are so familiar with had just been invented fourteen years earlier, which was followed by Dunlop’s pneumatic tires three years later. The first recorded bicycle race in the United States occurred on May 24, 1878 in Beacon Park, which is located in Boston. And, as with any new invention, there was the desire to push the technology to its limits. Just how fast could a bicycle go? No one knew for certain, but the best racer of his day, Charles Minthorn Murphy, felt that there really was no limit. With the right combination of gears, tires, and riding surface, one could theoretically go as fast as one wished. The main obstacle, in his opinion, would be air resistance. While the vast majority of the world’s population today uses the metric system, in the 1890’s the Imperial system of feet, pounds, and gallons was all the rage. The magic number that Murphy wanted to beat on his bike was 60 miles/hr. Convert that to the metric system and you get 96.56 km/h, which simply doesn’t roll off the tongue as nicely as one mile in one minute. Image of Charles N. Murphy from Flickr. Click on image to see original source. Murphy’s proposal was simple: Lay down a smooth surface for him to ride upon, use the fastest vehicle of its day – a steam locomotive – to set the pace, and build some sort of wind screen to reduce air friction. Most experts of the day believed that riding a bicycle one mile in one minute was nearly impossible, yet that wasn’t going to stop Charlie Murphy. March 27, 1898 advertisement for appearance of Charles M. Murphy at the Abraham and Strauss (A&S) store in New York. 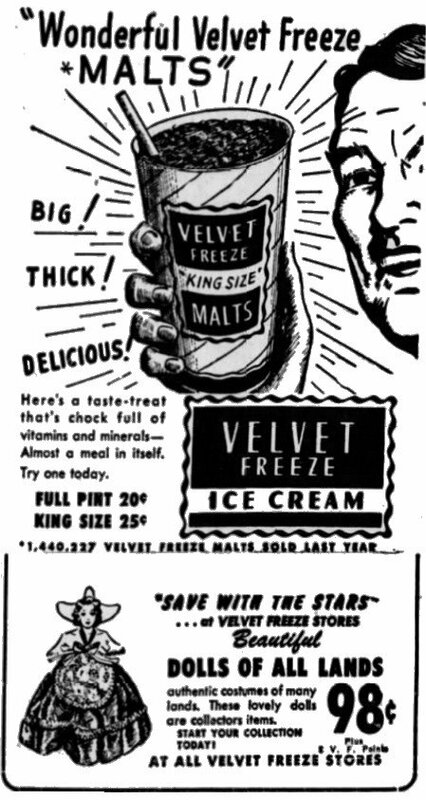 This ad appeared on page of 8 of the Brooklyn Daily Eagle. He spent years trying to convince the various railroads to let him give it a try. It was reported on February 8, 1896 that Murphy was in talks with the Southern Pacific Railway to use a 1-½ mile (2.41-km) straight stretch of railbed near Santa Monica, California, but this was never to be. This couldn’t have come as much of a surprise to Murphy. Committing to such an endeavor involved great expense to any railroad that chose to do so. Not only would they need to provide a straight and level stretch of track, few steam-powered trains of the day could reach a sustained speed of 60 mph for a full minute. In addition, not only would they have to build a lengthy platform to Murphy to bike upon, but it would also mean shutting down a profitable rail line for an extended period of time. And, can you imagine the awful publicity that would be generated if he were to be severely injured or die while attempting to set a speed record? You can see why railroads would be hesitant to get involved. While Murphy didn’t seem to be able to convince anyone to take him up on his proposal, there was one man who did. His name was Evan E. Anderson. 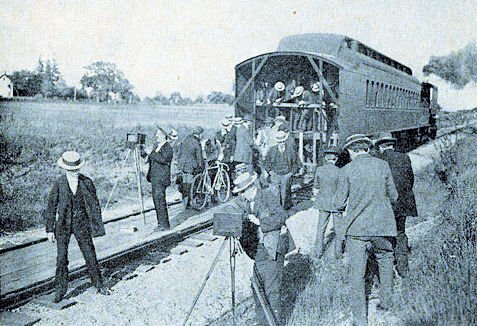 On August 27, 1896, fully crediting Charles Murphy with the coming up with the idea, Anderson pedaled behind a train as fast as humanly possible, but came up short. He rode the mile in 1 minute, 3 seconds. This was quite a feat, considering that only two years earlier no one had been able to ride a mile in under two minutes. Now Anderson was closing in on that magical mile in one minute mark, but would never attempt to do so again. Sketch of the proposed ride to be undertaken by EE Anderson. Note the box built in the back to reduce air resistance. From the July 19, 1896 issue of the St Louis Dispatch on page 18. For a while it looked liked Murphy’s vision would forever be placed on hold. Not only had E.E. Anderson been unable to reach his goal, but Murphy had been suspended for life from ever racing professionally again. He had been accused, along with two other racers, of conspiring to throw a bicycle race held in August 1895 in St. Louis. 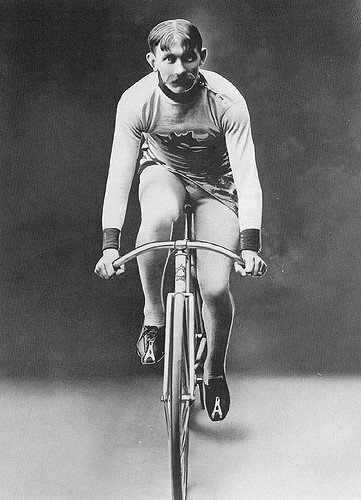 Charlie appealed the case, claiming no knowledge of the fix, particularly since he had won the race, but officials at the League of American Wheelmen were not buying it. Luckily, one of the other two riders involved privately made statements that exonerated Murphy and he was reinstated. In 1887, the Long Island Rail Road hired a PR guy named Hal Fullerton to help promote the line. Today Long Island is one of the most densely populated regions in the United States, but that wasn’t the case in the 1890’s. Fullerton spent the next thirty years of his career doing whatever he could to promote not only the railroad, but Long Island as a whole. He was incredibly successful at this. It was through a chance meeting that Charles Murphy met Hal Fullerton in 1899. Fullerton quickly realized that if Murphy could beat the mile per minute mark, people all around the world would learn just how great the Long Island Rail Road was. 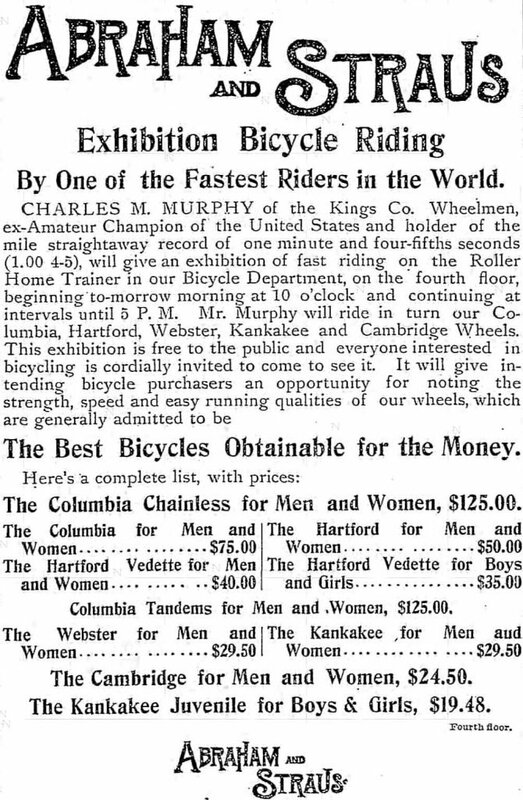 The contract was signed in May with the event planned for June, purposely timed to coincide with a nearby meeting of the League of American Wheelmen – the same national biking organization Murphy had been disbarred from. The chosen location for this man vs. machine race would be the central spur of the Long Island Rail Road, which ran between Farmingdale and Babylon. That track is still there today and and is just a hop, skip, and a jump from where my parents are buried. Well, maybe that’s a bit of an exaggeration. In the 1890’s this area was covered with farmland and pastures – the perfect place for future cemeteries – yet today you would probably get killed trying to walk that short distance in a straight line. At one point it was proposed that EE Anderson and Charlie Murphy both race behind a train. This event would never occur. Image from the April 25, This image can be found on page 12 of the April 25, 1898 publication of the Boston Globe. One cannot easily ride a bicycle on rail ties, so a smooth wooden pathway was constructed. It consisted of (5) 10” (about 25-cm) wide boards fastened down next to each other and ran a total length of 2-⅜ miles (3.8-km). That allowed both Murphy and the train enough distance to get up to speed, run the full mile at top speed, and then come to a safe stop. An 11-foot (3.35-meter) long wooden hood was constructed on the rear of a passenger car, which not only covered its external observation platform, but also extended out far enough to completely shield Murphy from any air turbulence produced by the train as it traveled. The sides of the box-like structure extended vertically downward before bending inward at a 40-degree angle and terminating just shy of the inner side of the track. 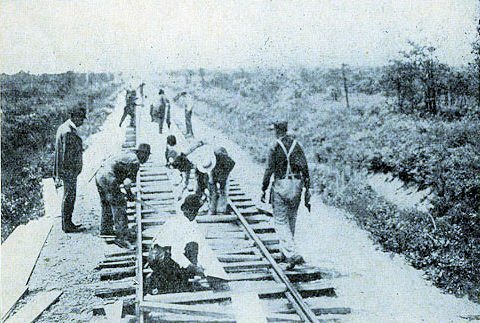 A rubber roller was installed under the train to clean the rails as the machine barreled down the track.The goal was to keep as much debris away from Murphy as possible. Workers installing the riding platform. Note the use of hand tools to install the decking. 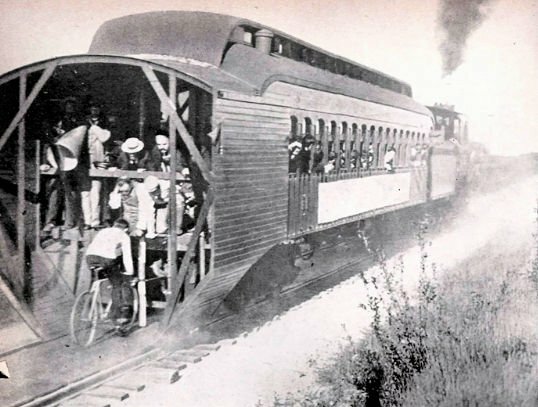 Image from the booklet "The Story of the Railroad and a Bicycle" by Charles M. Murphy. A big fear was that the train could break down and Murphy would crash into the back of the train and be killed. To prevent this from happening, two different safety devices were installed. The first was a rubber buffer that was attached all around the observation platform. The second was a horizontal bar that extended from the platform to the bar supporting the handlebars. It was designed to allow the front tire to pass right under and stop the bike before the wheel ever touched the train. As Charlie rode, a thin white board was installed vertically at the center of the platform. As long as he kept his front tire aligned with this visual marker, he was assured to have his bike centered on the wooden pathway at all times. Charlie Murphy riding his bike on the wooden deck that had been installed. From the booklet "A Story of the Railroad and a Bicycle" by Charles M. Murphy. Everything was now in place and Murphy was set to go. On June 21st, he rode a mile in 64.8 seconds, which was slower than what E.E. Anderson had done three years prior, yet the press still declared this to be a world record. In fact, all six of his trials were a failure. It’s not that Murphy couldn’t keep up with the train. That was not the problem. It was the train itself. The locomotive pulling that one rail car was unable to maintain a speed of 60 mph for the entire length of its run. What was needed was a more powerful locomotive. On Friday June 30, 1899, 28-year-old Murphy was once again all set make history. Sporting a light blue, long-sleeved jersey and woolen tights, he climbed aboard his state of the art Tribune bicycle. Nicknamed the “Blue Streak,” this teal blue bike wasn’t anything like what we would consider a sleek racing machine. In fact, it was probably simpler than just about any cheap bike made today. Braking was accomplished by jamming the pedals in place and preventing the chain from moving. In other words, no brakes! Changing gears? Forget about it. The only way to change gears on this bike was to take it apart and swap out a different set. Reporters and photographers setting up just prior to the big race. 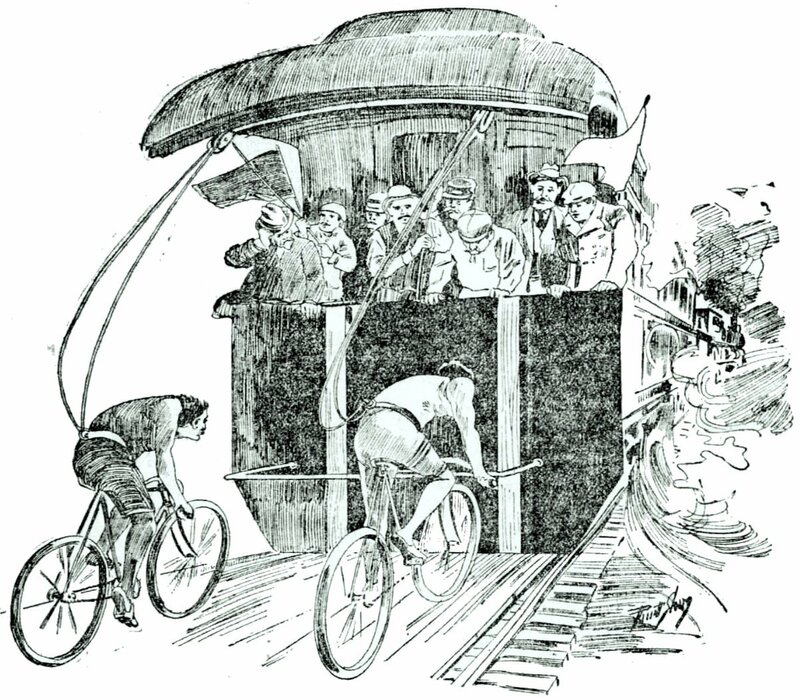 Image from the booklet "A Story of the Railroad and a Bicycle" by Charles M. Murphy. Finally, at 5:10 PM engineer Sam Booth opened the throttle and they were off. It was a near disaster from the start. Initially, Charlie had no problem keeping up with the train, but very quickly debris, cinders, and hot rubber from that track-clearing rubber roller started to fly up at him. Lacking any sort of protective gear, holes were being burned right through his racing jersey. Then the track started to quickly rise up and down. What Murphy didn’t realize at the time was that the faster locomotive that the railroad had provided for the race was also much heavier. As it rode over a rail, it would depress it downward. As soon as the train was off of it, the rail would pop back up. As a result, his wooden roadway bounced up and down. Then, suddenly, he began fall further and further back. At one point Murphy was an estimated 50-feet (15-m) behind the train. Never one to give up, Murphy began pedaling faster and moved closer and closer to the train. Somehow he had gained enough speed to finish the third quarter in 44 seconds. Charlie Murphy riding behind the train. Note the vertical white board in front of the bicycle. This was installed so that he wouldn't need to look down at the track. 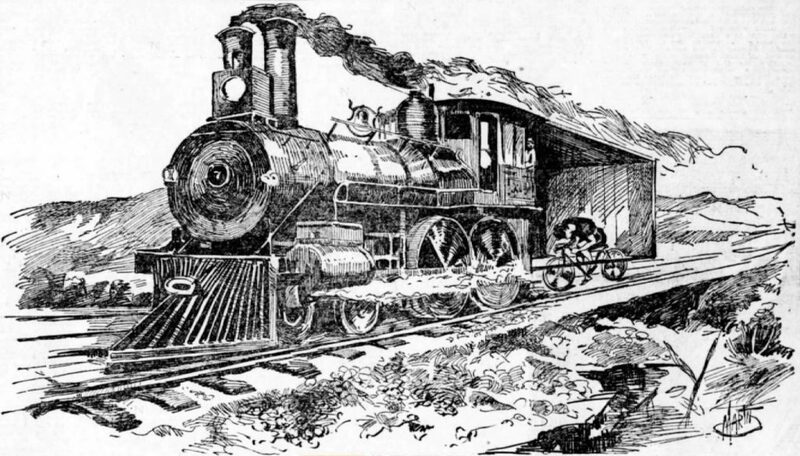 Image from the booklet "A Story of the Railroad and a Bicycle" by Charles M. Murphy. The heavy train slowed down far faster than had been anticipated and Charlie rode right into the platform at a high speed. The front of his bike came to an abrupt stop causing the rear of the bike to pivot upward and nearly over Murphy’s head. That’s when Hal Fullerton and another man leaned over and pulled him up on to the observation platform. A third quickly grabbed the bike and saved it from what would have been almost certain destruction. Personally, I would have asked something like, “Did I do it?” You are probably wondering the same. His official time, measured by five different timers aboard the train, clocked him as completing the mile 57.8 seconds. That’s an average speed of 62.3 mph. Charlie had officially gone a mile by human power faster than anyone in history. From that day forward he would forever be known as Mile-a-Minute Murphy. 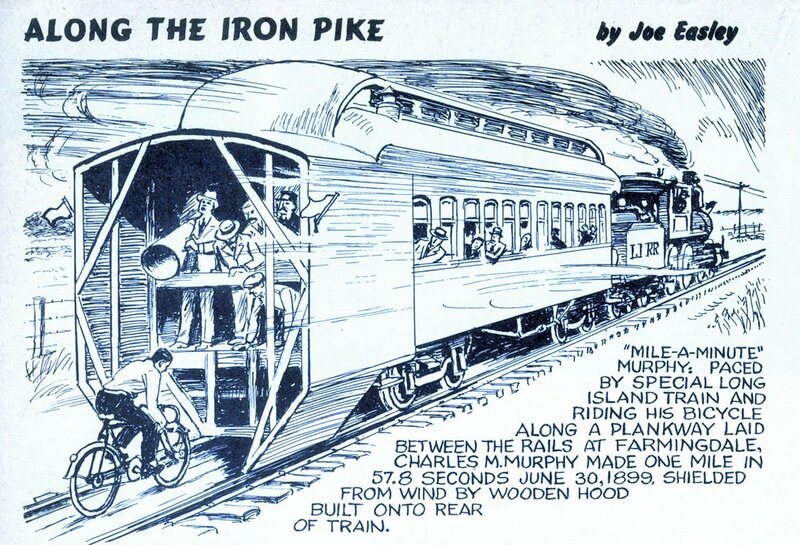 Along the Iron Pike sketch by Joe Easley highlighting Charlie Murphy's historic ride. From the August 1964 issue of Railroad Magazine. A couple of years after he set the mile record, while on break from a Vaudeville tour, his 9-year-old son Chester was showing off the historic bike to friends when someone stole it. After his short stint in show business, Murphy opted to join the New York City Police Department. Usually, as many of these stories go, Murphy would have enjoyed his 15 minutes of fame and that would have been it. But that is not the case here. Ever the risk taker, Murphy would be in and out of the news for decades. For example, on two different occasions he jumped aboard runaway trains and brought them to a halt. Another time he was trampled by a runaway horse. Then there was an incident where he was chasing after a thief and accidentally plummeted down a 20-foot (6-meter) embankment. And how can I overlook his decision to make a human chain down a 20-foot well, with him hanging upside down at the end, as he grabbed a man who had fallen in and was stuck up to his neck in mud? Yet, perhaps my favorite Murphy story made the news in 1906 while he was standing in the middle of the intersection of Tenth Avenue and West Thirty-third Street. His assignment was to help an estimated 400 students leaving St. Michael’s parochial school dodge the oncoming trolleys. Suddenly he heard a lot of commotion and looked up. He saw an unbridled horse pulling a cart full of iron ore barreling toward the kids at high speed. He quickly got the kids out of the way and took a flying leap toward the horse. Murphy threw his arms around the horse’s neck in an attempt to get it to stop. As he was dragged along the cobblestone street and down a steep grade, he made the decision to tightly squeeze the horse’s neck and deprive it of air. That worked. The horse stopped, fully recovered, and Murphy escorted him unharmed back to his owner. He casually walked away and returned to work the next day as if nothing had happened. Charlie made history by both becoming the first uniformed motorcycle officer in New York City and for being the first officer in the United States to ever pilot an airplane. In addition, he has the honor of being the first officer on duty to be in an airplane crash. It occurred during a police exhibition on Brighton Beach on June 27, 1914 when another policeman’s motorcycle struck his plane during takeoff. There was some damage to both machines, but Murphy was uninjured. Charlie Murphy's record-setting ride made him famous. 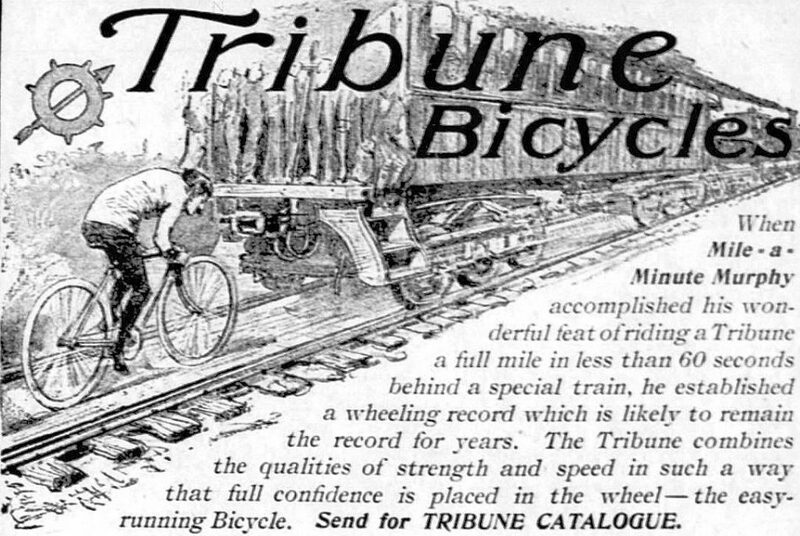 Here is an ad for Tribune bicycles that ran in many newspapers across the country. This particular ad appeared on page 5 of the Honolulu Tribune on February 8, 1901. His motorcycle riding would cause him far more pain than that plane crash ever did. On May 10, 1916, a tow truck towline became entangled in his motorbike and he was dragged about one-hundred feet (30-meters). Ten days later the front fork broke on his bike and he was taken to the hospital suffering from internal injuries. On September 15th of that same year, a sightseeing bus struck his motorcycle while crossing the Manhattan Bridge and he was thrown 30-feet (10 meters). He badly fractured his leg and on January 27, 1917, he officially retired from the force. While on his way to turn in his badge, he slipped and fractured his kneecap. Four accidents putting him in five different hospitals in less than a year. It was definitely time for Charlie Murphy to retire. 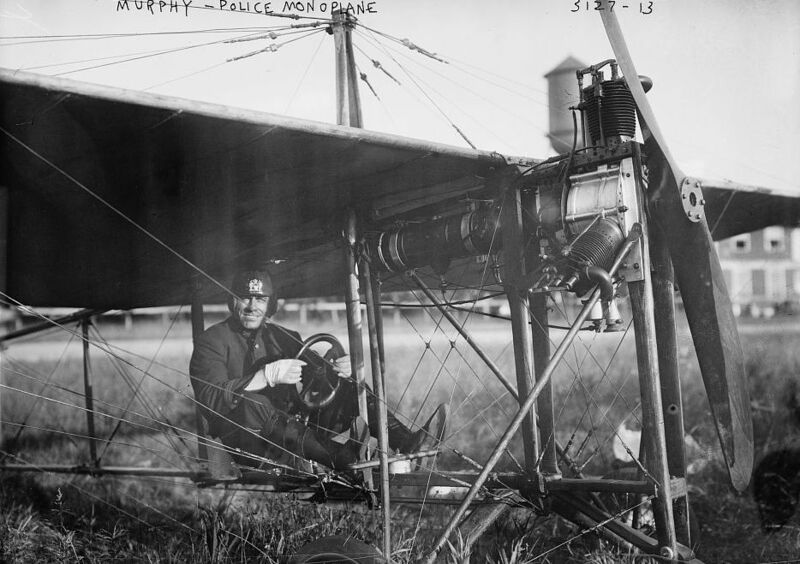 Charles "Mile-A-Minute" Murphy piloting a monoplane for the New York City Police Department. Image from the Library of Congress. 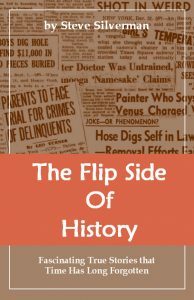 In a 1924 interview, he stated that he had been in 189 accidents, of which he believed any one of forty was serious enough to have killed him. During his bicycle racing years, he set seven world biking records, seventeen US records, twenty-nine New York State records and won over 1800 racing awards and prizes. He was inducted into the United States Bicycling Hall of Fame in 1991. Upon retirement, he relocated to California for a bit, but ultimately moved back to spend the remainder of his life at his home which was located at 160-12 Union Turnpike in Flushing, NY. Don’t go trying to find the building. It was ripped down and replaced by an AutoZone store. In 1948, Murphy was diagnosed with hardening of the arteries and his right leg was amputated. On December 23, 1949 he would enter Queens General Hospital one last time. He would stay there until his passing on February 16, 1950 at 79 years of age. Having lost his first wife in 1922, he was survived by his second wife Catherine Kissel and his two children Gladys and Chester. 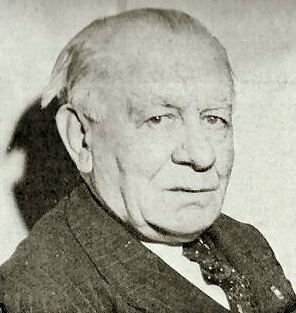 Image of Charles "Mile-A-Minute" Murphy later in life. That’s kind of a downer way to end the story, so I’ll leave you with a bit of good news. Remember that bike that had been stolen? In 1939 Murphy was notified by a bicycle trade magazine that a bike shop owner named Joseph Kropsky in Belleville, New Jersey believed that he may be in possession of it. Kropsky said that he had obtained the bike eight years after it had been stolen during a trade. After personally examining it, Charlie confirmed that it was his record-setting Blue Streak and it was returned to him nearly thirty-eight years after it had been stolen. According to a September 21, 2017 article in the Buffalo News, the bike is now part of a private collection that is housed at the Buffalo Transportation/Pierce-Arrow Museum. The other piece of good news, at least it is for me, is that when I finally pass on, I will forever lie facing an important piece of bike racing history. Now all they need to do is get rid of that ugly parkway that separates the two.